Glass is beautiful, functional and versatile, specified by architects, designers and developers because it lets in the light, promises clear vision and is easy to clean. 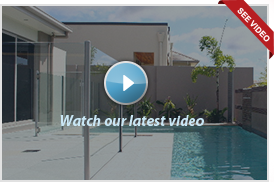 ClearShield is prefect for glass balustrading and pool fencing. It will protect against corrosion and etching from contaminants including sea salt, salt and chlorinated water, bird droppings and pollution. Untreated glass is porous and as a result it absorbs contaminants and pollution which causes deterioration and discolouration. This deterioration etches and corrodes the surface making cleaning more frequent and difficult. ClearShield seals the porosity and prevents this from occurring.